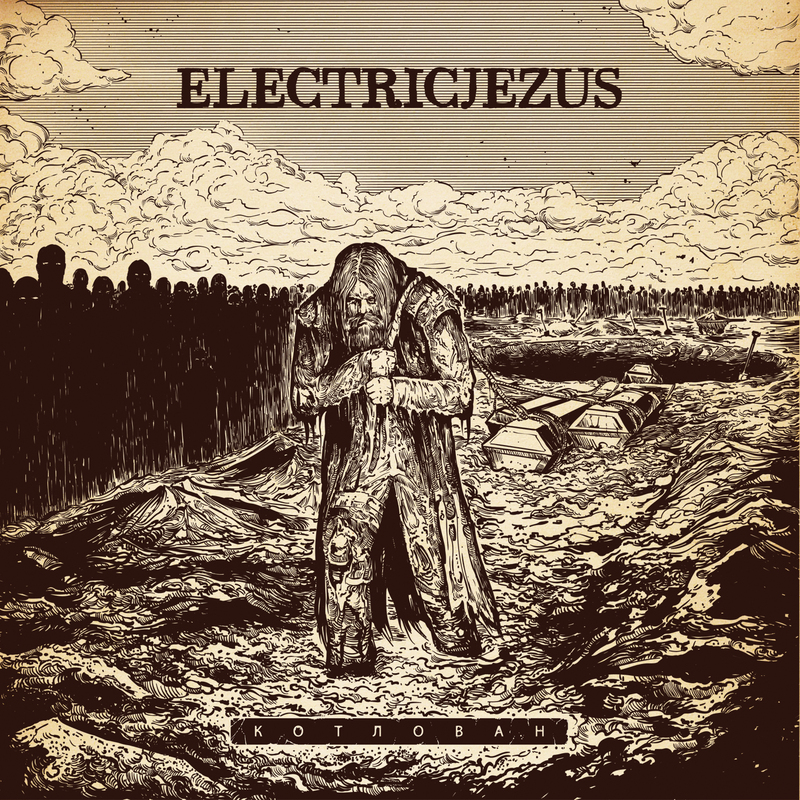 With a gap of about two years since their last release, the return of Russian duo Electricjezus arrives with plenty of thunderous power to make up for their hiatus, packing 42 minutes of heavy stonage into the space of five songs. 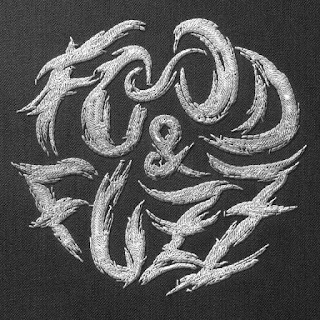 Though most are titled in the band's native tongue, Electricjezus are kind enough to provide translations for the names on their BandCamp page, just in case you feel the need to know (on that note, the LP's title translates as 'The Foundation Pit'). Though they open with a fairly warm tone to the fuzz and beat, a more doom-oriented focus eventually seeps into the riffs, bringing the music lower and darker as the songs proceed. The starkness of the song-writing grows more pronounced with each new piece, past sludge into something so menacing in its tone as to bypass classification. You can pick out bits of sludge, death, and black metal floating around, but all in subjugation to the doom , though the stormy musical ritualism and a new beast risen to serve the band. 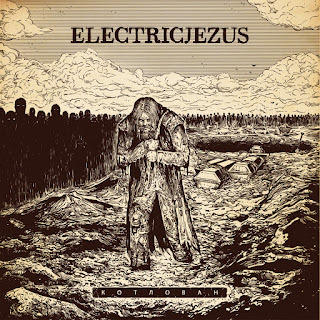 The last of the tracks is "Take My Breath Away", and if your first thoughts are of that '80s pop song by Berlin, Electricjezus are happy to eradicate those memories with their filthy ~7-minute-long interpretation, putting the title to its full grim potential and running the melody through an violent wringer. While the cover does sort of stand on its own, the flow through the songs is very solid, with a natural-feeling extension running through the sequence as the intensity builds. Excellent stuff, extremely worth checking out for any fans of free-roaming doom, sludge, and other heavy metals.